Half Acre Beer Company became known to me a few years ago due to their amazing label art. I’ve admitted before that I’ve been known to judge a beer by its cover, and Half Acre has some of the best in the business. Just check out their website and try to tell me I’m wrong (http://halfacrebeer.com/beer/). It also doesn’t hurt that their flagship beer is consider one of the best in its style. Which brings us to today’s review. 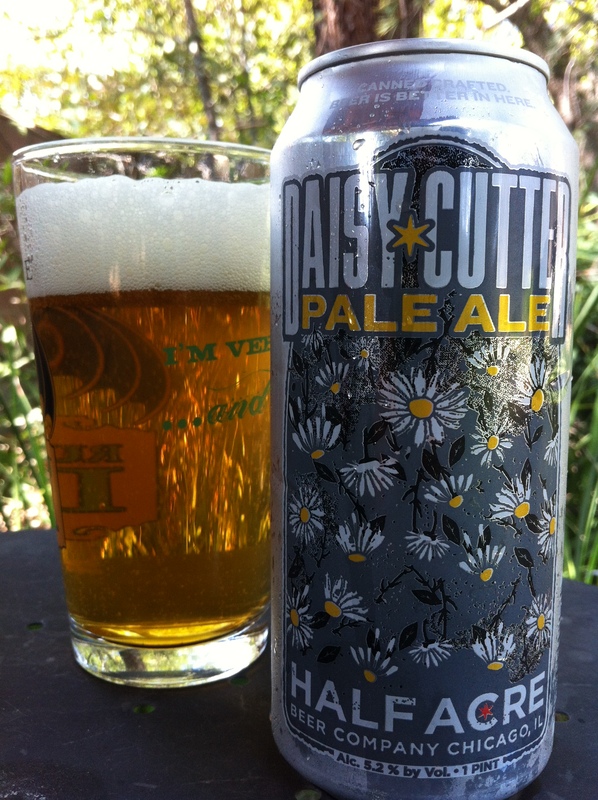 DAISY CUTTER PALE ALE is an American Pale Ale that is available year-round in awesome 16 oz. cans. It has an impressive 60 IBUs and a drinkable 5.2% ABV. 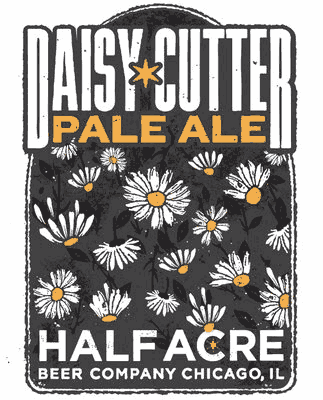 Daisy Cutter Pale Ale – A west coast Pale Ale chock-full of dank, aromatic hops. This one’s a screamer, hoard it. 5.2% ABV. It cracked open the can on a warm Saturday and poured it into a Stone pint glass. The beer was a light golden yellow with a head that was fluffy as all get out. Bubbles were urrywhere, with lacing clinging to the side of the glass like a trellis. I’ve been on a grassy hop kick lately and I think it began with this beer. The nose was grassy and sweet. Notes of lemon and lime soda were so strong it might fool someone in a blind smell test. Once it opens up some sweet bready malts show up and cut into the soda illusion. The grassy hops return at the forefront of each sip. A touch of lemon/lime soda pops up for a split second before giving way to the bready malts (much maltier than expected and/or the nose implied). The flavors are really well-balanced and help make Daisy Cutter a very easy drinking beer, and one that would make a perfect “lawnmower beer”. Mouthfeel is very light, but with a faint touch of carbonation. Even though it evaporates rather quickly there is a bit of hoppy clinginess. I can see why this beer is a perennial Top 20 Pale Ale on BeerAdvocate.com. The nose is huge and aromatic, but the taste is balanced enough to make it one to come back to sip after delicious sip. I really wish I had more than one can of these.